February 7, 2019, Indianapolis, IN…A new partnership between Woda Cooper Companies, Inc. (Woda Cooper) and HVAF of Indiana (HVAF) was selected as one of six teams to participate in the 2019 Indiana Supportive Housing Institute. In its tenth year, the Institute is organized by the Indiana Housing and Community Development Authority (IHCDA) and the Corporation for Supportive Housing (CSH). It will be held this spring. Over the next few months, each of the six participating teams will develop detailed plans for supportive housing serving either homeless veterans or individuals experiencing chronic homelessness. The Institute’s participants will receive training, technical assistance, and an opportunity to apply for predevelopment financing through IHCDA and other sources. 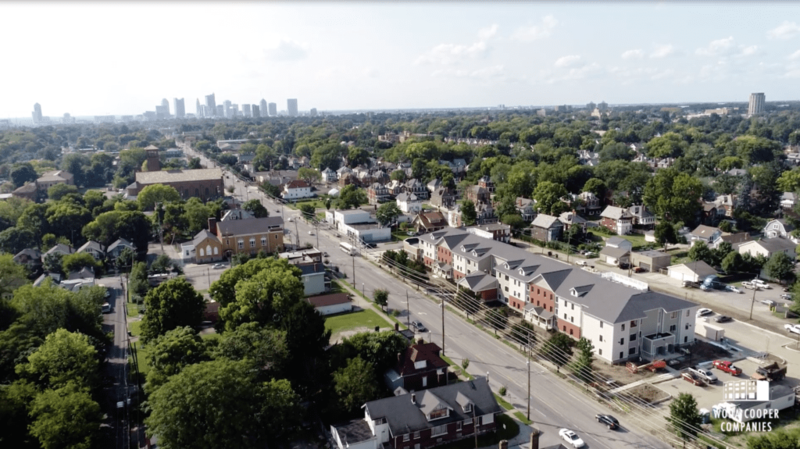 Woda Cooper and HVAF are in the early planning stages for a new affordable housing community in Indianapolis, with 25% of the units set aside as supportive housing for veterans. HVAF’s partnership with Woda Cooper marks the first time HVAF will develop permanent supportive housing. Veterans are at an increased risk to experience homelessness compared to the general population both nationally and locally, according to Brian Copes, President and CEO of HVAF. In Indianapolis, he said, 16% of those who are experiencing homelessness are veterans compared to 11% nationally. Woda Cooper is a recognized leader in developing, building, and managing high-quality affordable housing communities in the Midwest, Southeast and Mid-Atlantic regions. Each of the firm’s properties are designed and built for energy efficiency, open-concept living, and they provide a variety of amenities to meet the specific needs of residents served. Woda Cooper’s Nick Surak, Vice President of Development, said the firm is eager to participate in the 2019 Indiana Supportive Housing Institute together with HVAF. “HVAF has a history of providing supportive services to homeless and at-risk veterans and we are proud to help them reach a new milestone by joining with them in developing the organization’s first affordable housing community,” said Surak. About Woda Cooper Companies, Inc.
Woda Cooper Companies, Inc. and its affiliates are experienced developers, general contractors, and property managers specializing in the design, construction, and management of affordable multi-family apartments, senior communities, and single-family homes. Considered leading experts in the affordable housing industry, the Woda Cooper team is known for producing and maintaining high quality affordable housing. Affordable Housing Finance magazine ranked the firm 6th overall among Developers and 29nth overall among Owners in its April/May 2018 issue. Woda Cooper Companies, Inc. has developed and currently manages more than 300 communities and 12,000 units, operating in 15 states. In addition to its Columbus headquarters, the firm has offices in Savannah, GA; Indianapolis, Indiana; Shelbyville, Kentucky; Annapolis, Maryland; Mackinaw City, Michigan; Charlotte, North Carolina; and Norfolk, Virginia. For more information, call (614) 396-3200 or visit www.wodagroup.com. HVAF of Indiana helps homeless veterans return to self-sufficiency and engages at-risk veterans to prevent them from becoming homeless by providing supportive housing, case management, food, hygiene, and clothing, as well as other essential services. For more information about the Indianapolis, IN, based organization, visit http://www.hvafofindiana.org/ or call 317-951-0688. Woda Cooper Companies opened affordable senior community Fairwood Commons in the Near East Side of Downtown Columbus in late 2018.